Black Friday: how much do you need to pay for a good washing machine? 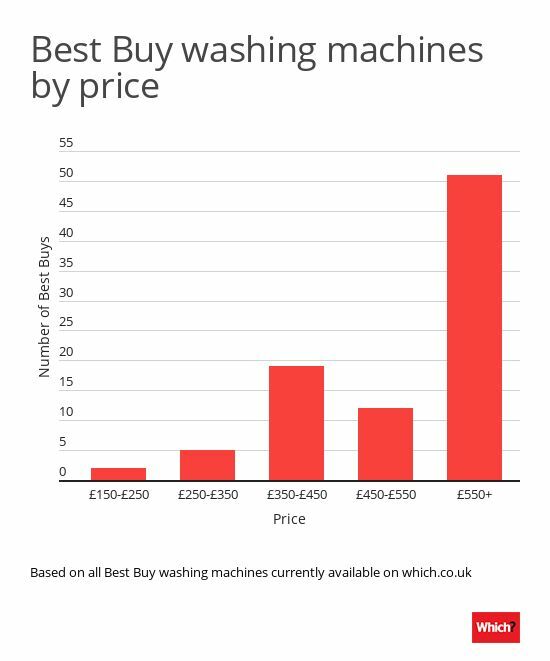 Go online to buy a washing machine this Black Friday, and you’ll find many costing little more than £150. But Which? research shows that you’ll need to pay more than this to get your hands on a washing machine that does the best job of shifting stains. We’ve found that pricier machines often do a better job of washing clothes. But you don’t have to pay over the odds to get a good washing machine. If you have £250 or less to spend, you’ll still be able to find Best Buys, but you’ll have a better chance if you can increase your budget. Head straight to our shortlist of Best Buy washing machines. We’ve also found that paying more doesn’t automatically guarantee you a good washing machine. We’ve found models bad enough to be named Don’t Buys in every price range. The cheapest costs less than £200, and the most expensive more than £600. Watch out for machines that might be great at washing your synthetics, but don’t have enough power to blitz stains from cottons. At this price, fewer than one in three machines we’ve tested does a good job of removing stains. You’ll get smaller-than-average 7kg-capacity drums and door-openings and relatively pedestrian 1,100 to 1,200rpm spin speeds. And don’t expect anything in the way of cutting-edge washday tech. One in three machines at this price point are poor enough for us warn you not to buy them. But we’ve also found great-value machines that do a good job of washing clothes. Among the 30+ models reviewed at this price, there’s one that’s so good we’ve made it a Best Buy. Check out the top five cheap washing machines for 2018. 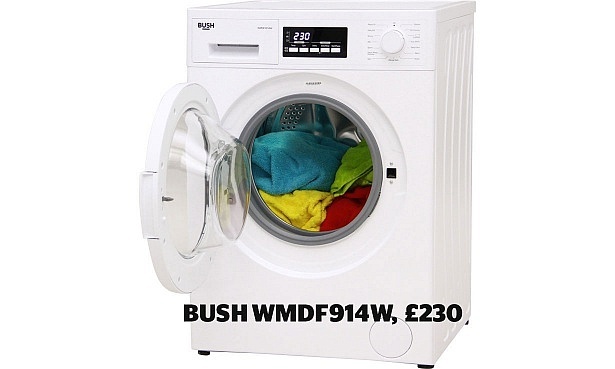 Other brands commonly found at the value end of the price range include Bush, Hisense, Indesit and Logik. More than half the washing machines we’ve tested at this price spin at a fast 1,400rpm. Most come with digital displays to show how much wash time is left. You’ll even find a collection of smart washing machines that you can set from a smart phone. You’ll also be able to afford some Bosch washing machines that we’ve named Best Buys. However, just because it’s a Bosch, doesn’t mean it’s brilliant. 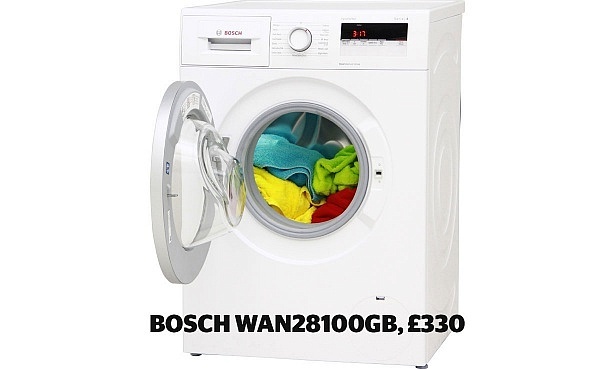 We’ve also found lacklustre Bosch washing machines for less than £350. Compare our Bosch washing machine reviews. Stretch your budget up to £500 and you’ll be able to pick up a Best Buy washing machine from Bosch, John Lewis or LG. 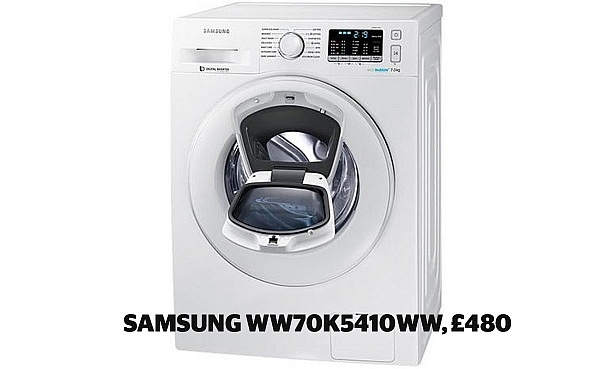 We’ve also found a number of Samsung washing machines good enough to be named Best Buys at around this price. But definitely don’t just go on price alone. We’ve still found washing machines bad enough to be named Don’t Buys in the £350-£500 price bracket. More than two thirds of washing machines we’ve reviewed at this price point are Best Buys, with many scoring top marks for cleaning. Expect to take home an energy-efficient yet powerful machine. Pay even more and Miele washing machines become available. The Miele range currently includes tech-heavy machines that dispense their own detergent, known as TwinDos by Miele, as well as machines that cut wash times, energy and water use. All prices correct on 21 November 2018.